At least there’s one news organization that is not afraid of running stories on Hillary Clinton’s poor health. This was the cover of the National Enquirer this week. Hillary Clinton has tried to cover up her health problems — but even her lapdog reporters in the national media have been forced to confront the medical issues that have clearly plagued her public appearances. 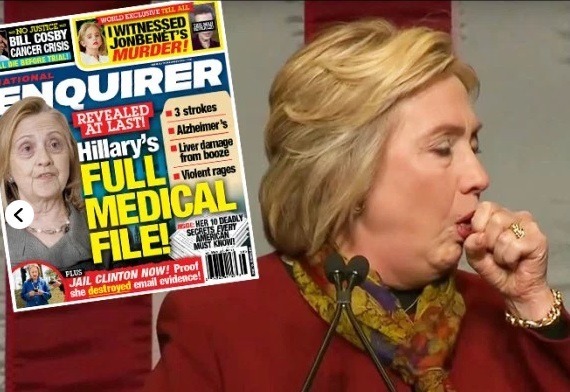 Now the new issue of The National ENQUIRER — on newsstands now — reveals the full scope of the candidate’s multiple maladies in a bombshell exclusive report!